Scholarships that are available for students at both New Berlin Eisenhower and New Berlin West are listed first, followed by any scholarships that are specific to a school. Click on the Scholarship Name to see that scholarship's requirements / criteria and any website links. The scholarships are listed in order of application due date. You also can sort the list by scholarship names in alphabetical order. You can search by Category (academic, athletic, community, engineering, leadership, etc) or by Keyword. To print the list, scroll down to the end of the list. You can "Print Short List" or "Print Expanded List" which includes all the scholarship requirements and website links. The family of Carrie Stuckert has created the Dream Pool Foundation, offering scholarship opportunities and will be awarding three $1,000 and two $2,000 scholarships. The Carrie Stuckert Scholarship is offered to students who have extracurricular accomplishments and inspirational goals. Applicants must be enrolled as an Art Major at an accredited institution in the United States (including Art Therapy Programs). Must be U.S citizen and evidence of enrollment will need to shown before money is awarded. Played on the boys or girls basketball team during senior year or was a manager. Must be a Wisconsin resident. Planning to attend a University of Wisconsin System School. Not participating in sports at the Division I, II, or III level in college. You will need a unique student ID number for the UW System school(s) you are applying to. For additional information and applications go to www.AbNicholasScholars.org . In spring 2019, the Prospect Lions of New Berlin plan to award three $1,000 scholarships. To qualify, you must be in the high school graduating class of 2019 and must live in New Berlin, Wis. The application must be received no later than May 1st, 2019. Please email completed application and essay to scaravella@farmersagent.com or postal mail to Lion Sebastian 21415 W. Greenfield Ave Suite 101 New Berlin WI 53146. Please complete the following information. You may use an additional sheet of paper if needed. The Lions’ core values are: Integrity, Accountability, Teamwork, and Excellence. The Lions’ Mission Statement is: To empower volunteers to serve their communities, meet humanitarian needs, encourage peace, and promote international understanding. Please write up to a one-page essay that explains how the Lions’ core values and mission statement reflect your values, including examples of how you have put those values into action. Kids' Chance ot Wisconsin is an organization providing educational scholarships to the children of Wisconsin workers who have been seriously injured or killed due to work-related accidents. The scholarships range up to $5,000 per year based on the student's financial situation. On a separate sheet, write at least a 300-word essay on the effects and aftermath of September 11th on today’s society. What you plan to achieve through college that can possibly impact the community and/or the world. Why you should receive a Memorial Scholarship. Be sure to write your name and Student ID number on each page. Confirmation and documentation of fall enrollment for the next academic year. An official transcript for all studies completed to date. Additional information and application can be found at http://asiacottom.com/scholarship-fund/apply/. 1. Applicant must be a senior in high school. 2. Applicant must be a United States Citizen. 3. Applicant must be of good character. 4. Applicant must have a recommendation from his/her principal, counselor, or teacher. 5. A current high school transcript must be submitted with the application. A current picture. PICTURE MUST BE A SENIOR PICTURE. DO NOT SEND A PICTURE OF YOU AND ANOTHER PERSON. IT WILL NOT BE ACCEPTED. NO PHOTO COPIES. NO FAXED PHOTOS. Pictures will NOT be returned. 6. Applicant is permitted to attend a two year college or university of their choice. 7. Applicant must have a letter of acceptance to a college or university with applicant prior to date of award. 8. ESSAY MUST BE AT LEAST 500 WORDS AND TYPED. HANDWRITTEN WILL NOT BE ACCEPTED. In your own words, please state the course of study you plan to pursue and your general outlook as to future endeavors. Include community service you are involved in. 9. Parent or Guardian must sign application or it will be rejected. 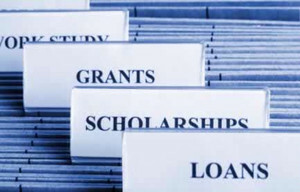 Additional information and application can be found at https://www.studentscholarshipsearch.com/scholarships/alphonso-deal-scholarship-award. This Scholarship is available to all high school juniors and seniors. Be sure to include your name and the school you are attending this year and next. Additional information can be found at https://www.unigo.com/scholarships/all/b--davis-scholarship/1004653. The organization provides 7 scholarships of $1,000 for multiple finalists of an essay contest. Application can be found at http://wisctowns.com/scholarship-program. 1. Origin - candidate to be of Italian descent as determined by OSIA's trustees and selection committee. 2. Residence - candidate must reside in the following counties: Kenosha, Milwaukee, Ozaukee, Racine, Walworth, Washington and Waukesha. 3. Educational requirements - bona fide graduating senior of an accredited public or private high school. Pick up application in Student Services. Applicant must be enrolled in and plan to attend a Wisconsin college/university during 2019-2020 school year. Applicant must submit a copy of unofficial transcript. A 450+ word essay about what “justice in our society” means to you and how you have or will work to provide peace and justice for all members of our society. Special consideration will be given to a student who is interested in pursuing a career in law and meets the requirements. - Applicant must be enrolled in and plan to attend a college/university during 2019-2020 school year. - Must have a minimum G.P.A. of 3.0. - Completed application must be submitted online by May 31, 2019. LATE APPLICATIONS WILL NOT BE CONSIDERED. - INCOMPLETE APPLICATIONS WILL NOT BE CONSIDERED. - Although not required, applicants are encouraged to submit recommendation letters and/or resumes to substantiate their application. Additional information and application can be found at https://hbolawfirm.com/law-justice-scholarship/. Students must be attending at least part time. Students must be a first-time freshman. Students must be attending a public or private Wisconsin college or university. The TIP grant can be renewed for up to ten semesters of enrollment and must be used within six years of enrollment at a public, private, or technical college or university in Wisconsin. Funds are awarded on a first-come, first-serve basis. A processed FAFSA (Free Application for Federal Student Aid). FAFSA confirmation page or the SAR (Student Aid Report). College acceptance letter or college award notification. Other documents may be requested by the WEOP staff if needed to determine eligibility. Additional information and application can be found at https://dpi.wi.gov/weop/tip-grant. If you have more questions about the Minuteman Scholarship, please email armyrotc@cwu.edu or call 509-963-3520. Additional information can be found at http://abbottandfenner.com/scholarships.htm. Currently attending or plan on attending a post-secondary institution in Canada or the US in the fall 2019. Submit a short story. Detailed instructions can be found on the application page. Be a resident of the US or Canada. Applications can be found by going to https://www.studentscholarships.org/college_scholarship_applications.php#sthash.xphNfEMf.dpbs. $2,500 schoalrship to an eligible institution wen taking at least 6 credits during the first semester of the 2019-2020 academic year. Additional information and application is available at https://narimilwaukeefoundation.org/nari-foundation-scholarship-online-application.html. When you sign up for the CollegeSTEPS program, you will be automatically entered into the CollegeSTEPS sweepstakes for a chance to win $5,000. Two sweepstakes drawings will be conducted to award three high school students and three college students $5,000 at each drawing! See the Official Rules for drawing dates and complete details. Students must be between 16-21. Students must be attending school in the fall of 2017. Students must write an essay on this year’s topic. Students must have a 3.0 GPA or above. Male or Female students are both eligible. Application and this year’s topic can be found at http://www.forkliftpartswisconsin.com/forkliftparts.php. Must be enrolled full-time at an accredited four or two-year college or trade school. Please provide the address of the college’s Financial Aid Office in your application. Please provide your college student identification number in your application. Students must hold a minimum GPA of 3.0. Provide Cover Letter that answers "Please describe what makes you unique in one page." Provide a 3-5 page essay about what makes a society a productive society. For additional information and application go to http://www.sterlinglawyers.com/scholarship/. Additional information and application can be found at https://www.cardinaldigitalmarketing.com/cardinal-digital-marketing-scholarship-fund/. Proof of Enrollment: acceptance letter, current class schedule, etc. A graduating high school senior who plans to continue their education at a tech school, college, or university in the fall of 2019. They must also have earned at least one varsity letter for being a member of the New Berlin West Boys or Girls Soccer team. Application is located in Student Services. The School District of New Berlin does not discriminate against individuals on the basis of age, gender, race, color, religion, national origin, ancestry, creed, pregnancy, marital or parental status, sexual orientation, or physical, mental, emotional, or learning disability. Federal law prohibits discrimination in education and employment on the basis of age, race, color, national origin, gender, religion, or disability. For more information, follow this link: https://www.nbexcellence.org/district/disclaimers.cfm.